According to its recent annual study of the most popular cosmetic procedures, the American Society of Plastic Surgeons (ASPS) reports that breast augmentation continues to be the most popular plastic surgery procedure in the U.S. More than 300,000 breast augmentations were performed in 2017, up three percent from 2016. 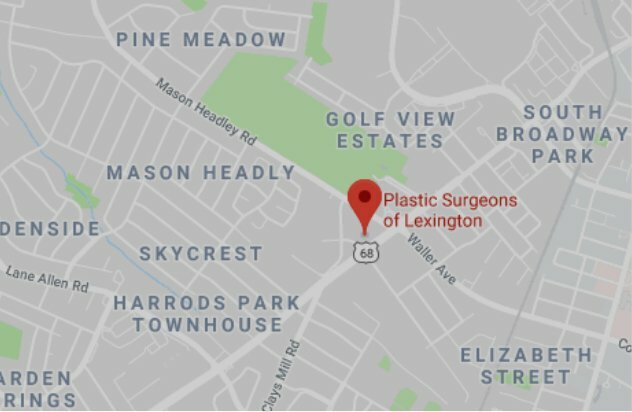 To learn more about breast augmentation and your candidacy for the procedure, call Plastic Surgeons of Lexington today at 859-276-3883 to schedule a personal consultation with one of our experienced breast surgeons. The popularity of breast enlargement surgery is no surprise. Boasting one of the highest rates of patient satisfaction, breast augmentation has been shown to improve more than just the proportions of patients’ breasts; it can change lives. If you’ve been thinking about getting breast implants, consider some of the following ways our patients have found that this procedure has changed their lives for the better. Full, beautiful breasts can improve more than just your bustline. Larger, fuller breasts can make your waist look smaller and accentuate your hips, creating a more beautifully contoured profile and well-proportioned figure. If you’d like to enhance your body contours even further, our board-certified plastic surgeons can discuss your candidacy for a tummy tuck or liposuction during your initial consultation. Full, perky breasts are among the physical hallmarks of youth. As you age, gravity will eventually take its toll on your breasts, causing them sag and appear deflated. Breast implants, along with breast lifts, can restore your youthful figure and vitality. Many woman with small or deflated breasts may feel self-conscious about their appearance, especially when at the pool, gym or in intimate situations. If you are reluctant to remove your bra with a partner or consistently wear padded bras to conceal your small bust, breast augmentation can help you feel more confident in the way you look and present yourself to others. The confidence gained from loving your appearance can motivate you to improve your life in other ways. After seeing how good you look following your breast augmentation, you may be inspired to exercise more, eat healthier and generally lead a more positive lifestyle. Breast augmentation isn’t a magical panacea, but it can be an important first step toward positive change. If you have small breasts, it can be frustrating to have your eyes set on a special outfit, business suit, or low-cut blouse and realize there is no way the outfit will work. After breast augmentation, a variety of new wardrobe options will be available to you. You can proudly wear an array of tops that show off your curves and new cleavage. If you are dissatisfied with the size or shape of your breasts, contact Plastic Surgeons of Lexington today online or at 859-276-3883 to discuss your breast implant options with a board-certified plastic surgeon. We welcome patients from Lexington, Frankfort, Georgetown and Nicholasville, Kentucky.